When changing the Locke number, troubles were suffered a little. When changing the Locke number, troubles were suffered a little. Since a helmet holder is standard to FZ1 and is not attached to it, they are necessaries. Since it was disagreeable that hun... Since a helmet holder is standard to FZ1 and is not attached to it, they are necessaries. Since it was disagreeable that hung on a side and a crack was attached to a helmet, here where it is attached to a handle was chosen. operation turns a key, when removing a helmet from Locke -- it is accepted and is satisfactory during a run of ! after that also... operation turns a key, when removing a helmet from Locke -- it is accepted and is satisfactory during a run of ! after that also at a lock released condition -- it is . Therefore, when acting as Locke of the helmet, it lets a ring pass in a holder, and as the holder of a release state is pushed in. 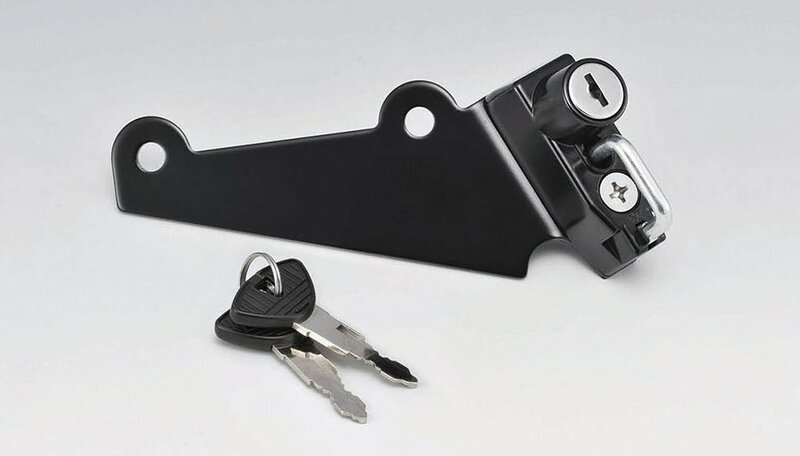 Compared with a hell lock cable former personal identification number type, helmet attachment and detachment become easy far, it becomes unnecessary to equip with -> store Locke at a handle at every time, and Locke at each time became less troublesome. Large satisfied Installation, BoltQuantity : Simply remove 2 pc and put it in between. 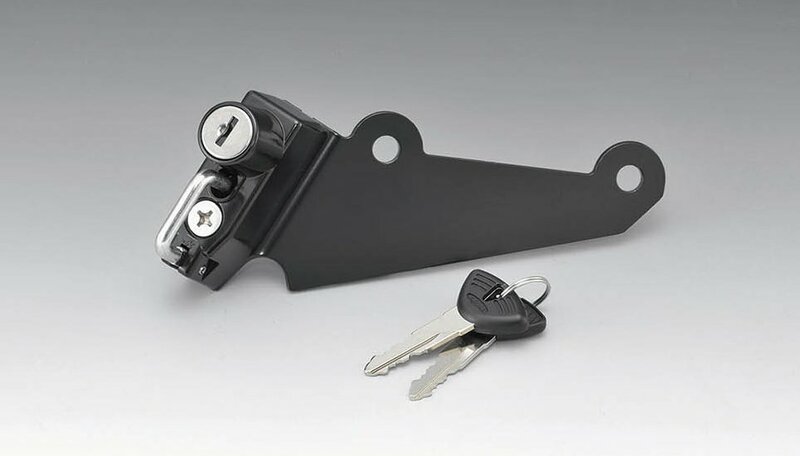 Without compromising the Motorcycle's appearance, this will prevent Helmet from being stolen. I'm glad I bought it I changed to 2018 CB 400 SB and it was in a position where it can not be used if Helmet holder is intact, so I bought it as an aid for that. It fits Exactly to the Ring of ARAI's RX-7X. The feeling of use is a bit shorter, so you need to lock it a little bit while supporting Helmet on your knees. If I get used to it, is Large durable?. If it was too long, it seemed that it would hang down with da RAN, so it was good with this Length. I think the texture is good.